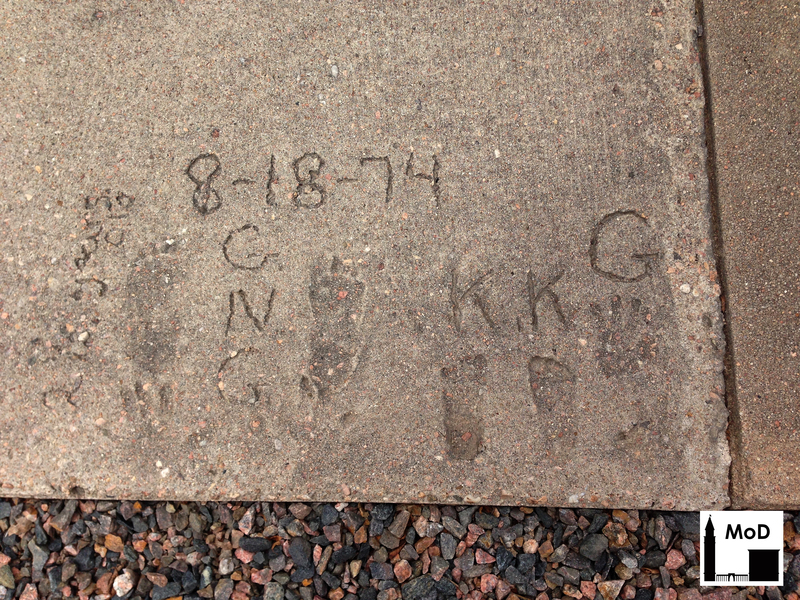 One of my favorite discoveries about Denver is the plethora of sidewalk stamps indicating who laid the concrete and the year the sidewalk was installed – concrete business cards, if you like. 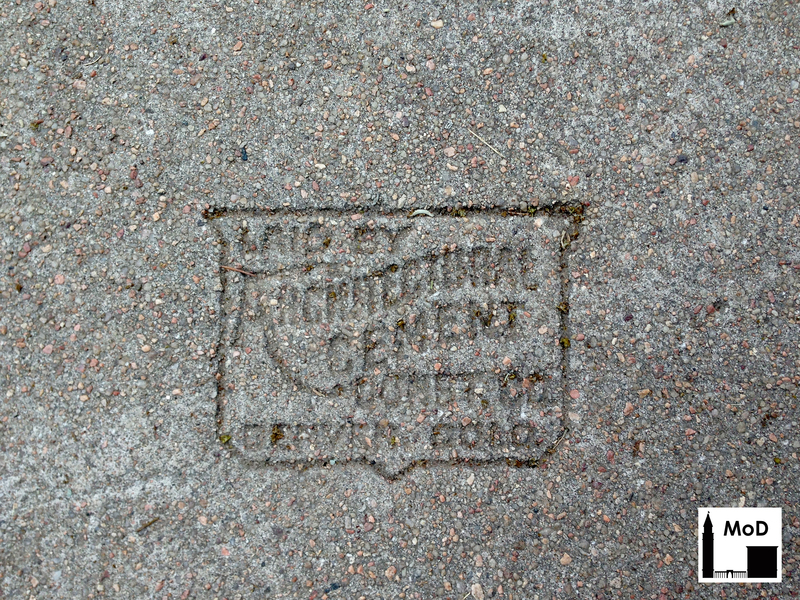 Sidewalk stamps are interesting to look at, but you can also see the pattern of economic booms and busts in the stamps. Many sidewalks were laid from the mid-1950s to the mid-1960s, and then again from the late-1970s to early-1980s. Both of these periods were times of strong growth in Denver. Similarly, I did not see many stamps between the early-1980s and the mid-1990s, a period of economic struggle for the city. 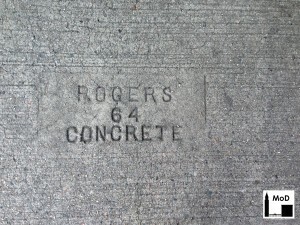 Sidewalk stamps also tell us a lot about the city’s changing demographics. 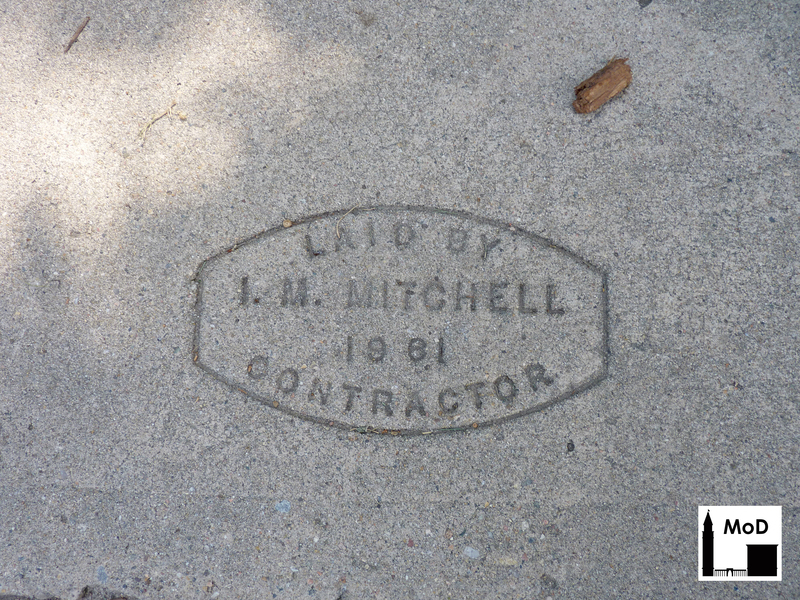 Many of the concrete sidewalks laid in the 1950s and 60s were stamped with Irish, Scottish or English names. There were also a few German names on stamps from that period, as well as an Italian contractor or two. 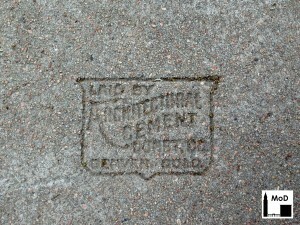 By the 1990s, companies with Latin American names start appearing on the sidewalk stamps. But enough about trends. 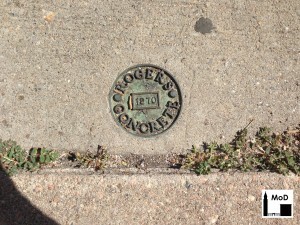 Let’s take a look at some of the common stamps found on Denver sidewalks. Most are pretty boring – a name and two-figure date surrounded by a rectangle. 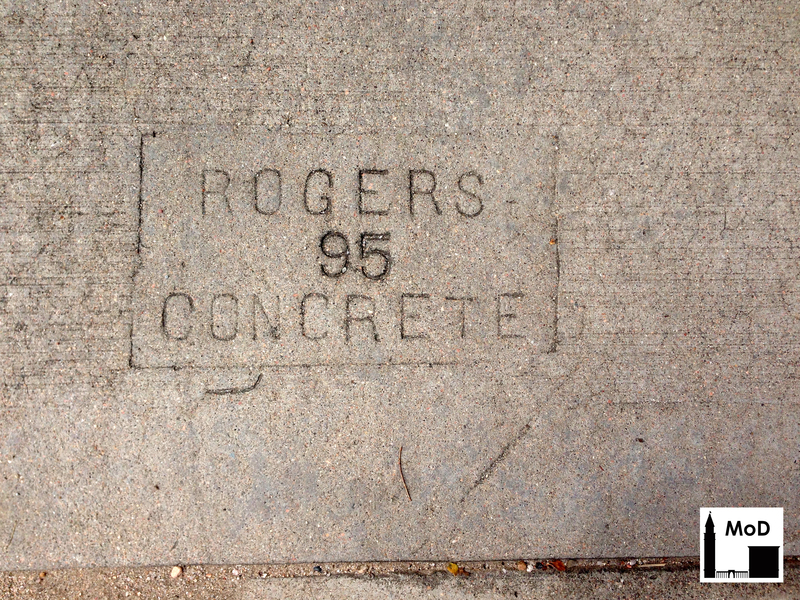 This one from Rogers Concrete was installed in 1995. 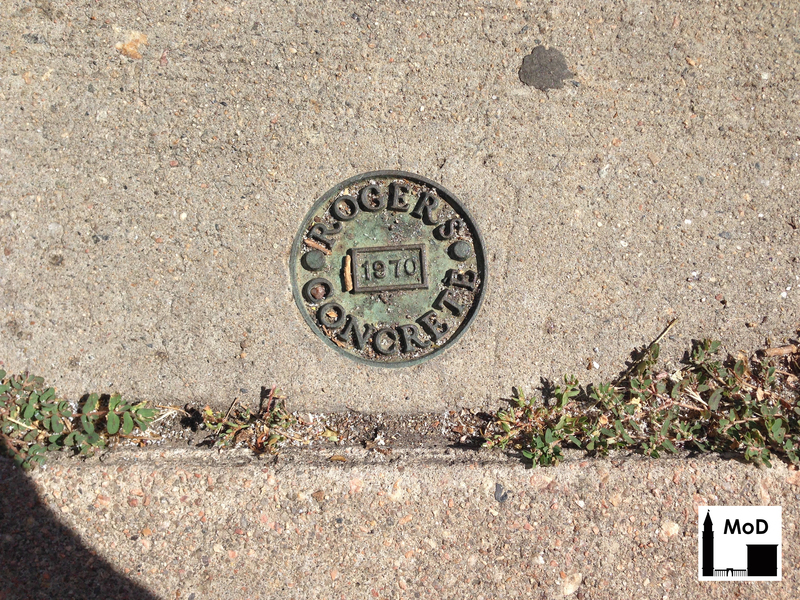 Based on the stamps I’ve seen, it is clear that Rogers has been around for a long time, though their stamp hasn’t changed much over the years. 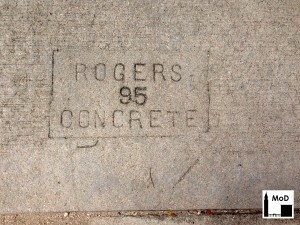 Below is a Rogers Concrete stamp from 1964. 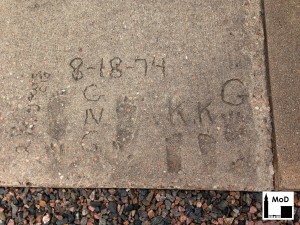 I’m amazed that this sidewalk is 50 years old and is still in great shape. 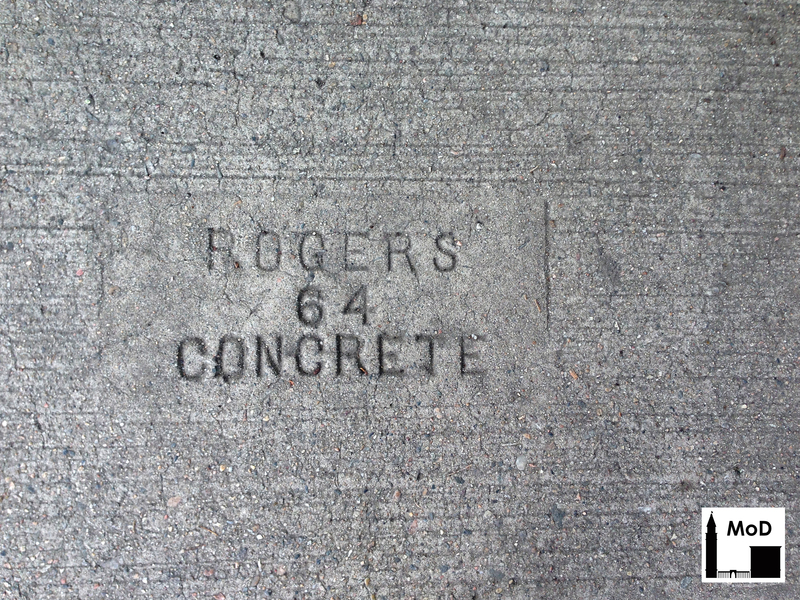 I’m equally amazed that Rogers Concrete is still in business. 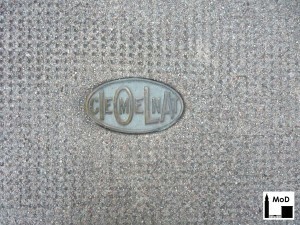 Other common stamps are modified ovals, such as the one below that says “Laid By I.M. 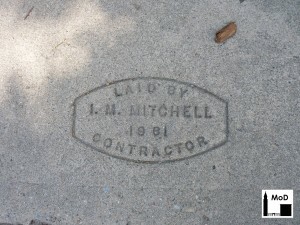 Mitchell 1981 Contractor”. But some stamps are more ornate. 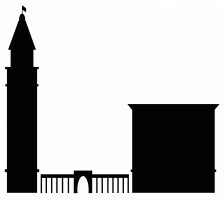 The stamp below is in the form of a shield and says “Laid By Architectural Cement Const. Co. Denver, Colo.”. I especially like the old-fashioned shape of the A in Architectural. Not all stamps are pressed into the concrete. Bronze plaques, while somewhat rare, are seen all over the city. Here’s one by Rogers Concrete from 1970 – a departure from their simple rectangular stamp. I like the plaque below by the Hinchman-Renton Co. 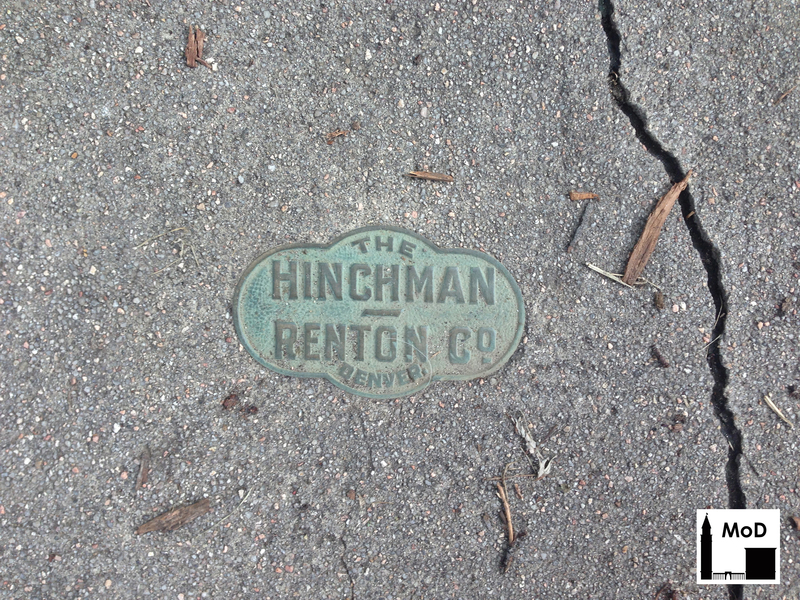 I was able to find out a little bit about Hinchman-Renton, which was a reinforced concrete and fireproofing company based in Denver. They developed several innovated methods for fireproofing columns using barbed wire as concrete reinforcement. 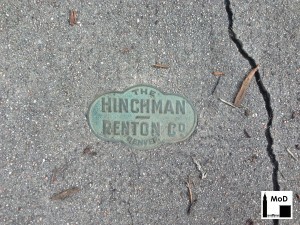 Hinchman-Renton was in business from about the turn of the 20th century until about the middle of the 20th century. And the plaque below is a puzzle. 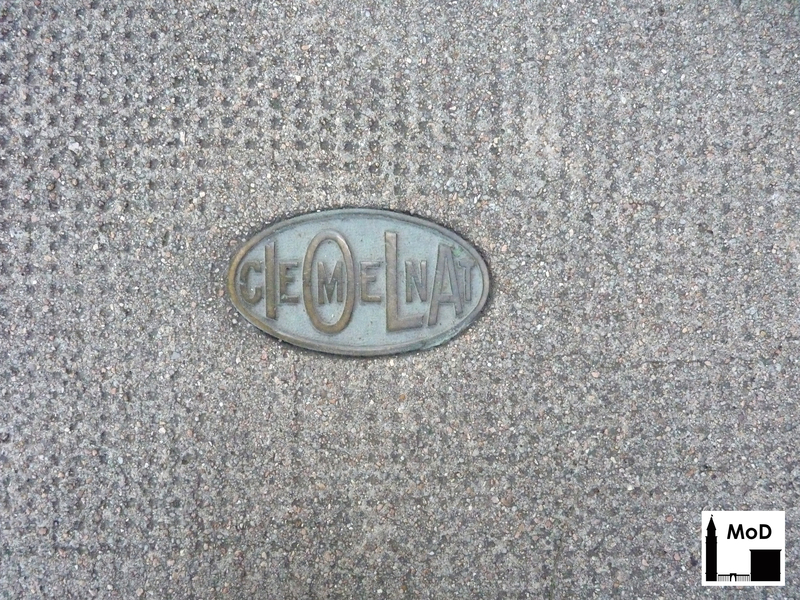 I studied it for a while to figure out what it said: “Iola Cement”, not “Cieomelnat”. It turns out that the Iola Portland Cement Company, based in Kansas, was one of the largest Portland cement manufacturers in the United States in the early 20th century. The style of this stamp suggests it is from the middle of the 20th century. By that time the company had been sold to Lehigh Cement, now owned by Heidelberg Cement, which is one of the largest cement producers in the world. I will bet the kids whose footprints and handprints grace this sidewalk never guessed their stamps would survive forty years and counting!